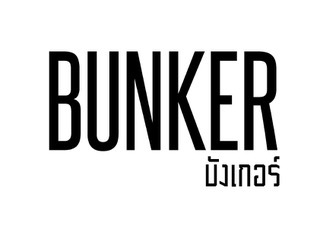 Bunker is a casual fine dining restaurant with craft beer and cocktails. Our flavors are inspired by the culinary landscape of modern day metropolitan American cities like LA, SF, and NYC. We dedicate and pride ourselves on sourcing ingredients of the highest quality and sustainability from both in and out of Thailand. 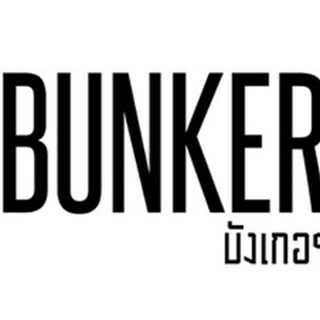 Bunker is a place where simplicity, quality, and attentive care come together to provide an enjoying dinning experience. I ever stop your restaurant before. For new menus, i think most of them present thai taste more on the past menus. Most of new menus are good taste. All staffs are nice and hospitality. I just suggest for vallet parking because hardly to find parking area along side walk in sathon road. Food tastes rather plain compared to the price. The only thing made us wow was actually the free tartare... Could work on the taste of food, a lot. Don't have any fusion of thai apart from the, again, free tartare, unfortunately. Food portion was alright though. Decor was good but feels empty somehow. Some of the space need to be re-looked-at. No worth the surcharge. 2nd round of order was delayed. Customer had to check with waiter. Then food was cooked after that. The food is very nice and simply delicious. Warm service with a cozy atmosphere. The best dining experience in Bangkok! Great place and great food! Delicious ! Really liked this experience. Food was nicely balanced and the service was very friendly and professional, also there was a good selection of music playing which is always nice. The bone marrow was amazing with the dried salted shrimp, fatty and creamy while salty with tang, hit the spot! The cod fish was amazing, refreshing and light. I think the food was pretty good value as well for that amount of food. Returning for sure ! Music was NOT really appropriate for dinner and it was a bit too loud...it was hard to have a conversation with the table. We did ask for it to be turned down and the staff were very attentive and helpful...so thank you for that! Otherwise it was a great experience. Enjoyed my visit overall, but the music really is way to loud (and not sure rap music is a fitting choice for a restaurant). Makes it impossible to have a conversation with the other person at the table. Asked to turn it down which was done, but I have seen this comment mentioned before so it might be something that needs to be done every day. We had a great time dining in Bunker. Good job! Keep it up! The bartenders were outstanding and took great pride in mixing our drinks. The food was excellent and I want to come back again to try more of their offerings. Everything was good. Nice food nice atmosphere nice service. Visited for a family birthday meal. My main issue is the volume of music laced and the repetition of the same CD at least three times....Jamiroquai was enough in the 90s! Great location, great tastes and excellent drinks.